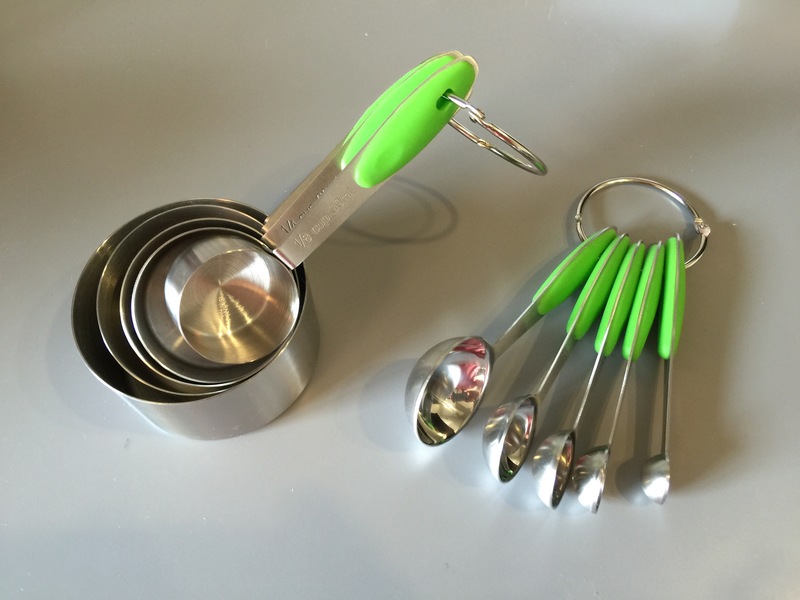 Review of Laxinis World Stainless Steel cooking utensils: Measuring cups and spoons. 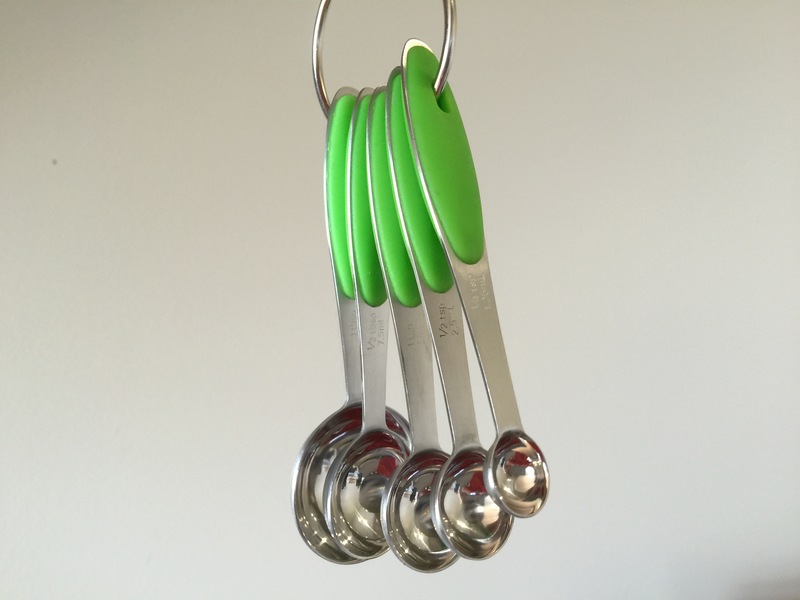 I once compared our mess of measuring spoons and cups to each other, and was shocked to see that they weren’t all the same! One teaspoon poured into another might over flow, or not fill it, and even be off by 20% or so. If you have years worth of mis-matched measuring spoons accumulated in a drawer, like we did, try this yourself just for some nerdy fun. Anyway, since then, I have been on the look out for a commercial grade, very accurate and nice looking set of measuring cups and spoons, and this is the one I went with. I haven’t been disappointed. Not only are they accurate, but they are nice looking as well. You can see them here: LAXINIS WORLD Stainless Steel Measuring Cups and Measuring Spoons Set – 10 Piece Stackable Measuring Set with Soft Silicone Handles to Measure Dry and Liquid Ingredients, (Multi Color) There are other color variations as well, I got the green set, pictured. The green handle you see in the picture is soft, it has a good feel to it. 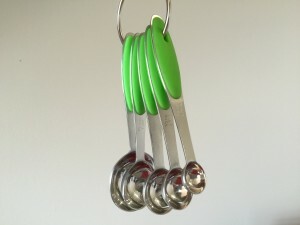 And for those of you who have cool kitchens where you hang stuff up on exposed racks, you’ll appreciate the rings that hold all the cups together, and all the spoons together, for easy organization. The numbers are engraved on, which is very important as I have had lower quality measuring cups and spoons that were just printed, and of course over time the numbers wear off and you can’t tell what’s what. You can clearly see the engraving on the images I uploaded. I also prefer these metal ones to the plastic ones I have always had in the past, that get scratched and warn over time. These are much more durable. They’re a bit pricey at 25 bucks, but in our house we all love to cook, and these will likely be the last set of measuring cups and spoons we will ever need, so I would rather have nice ones that last forever than the cheap cruddy ones we have always done in the past.